Need an inspiring and motivating speaker for your next event? Rita appeals to a wide variety of audiences, delivering results-driven information and insights drawn from her experiences as a resilience strategist, professor, and business owner. Her desire to “entertain, motivate, inspire, and educate” has been the consistent thread and persistent driving force in her professional (and personal) life. Your audience leaves energized, entertained, educated, and alive with possibilities. What People Are Saying About Rita! "Rita's strategic coaching helped me to identify areas of improvement and develop my own personalized plan for resilience in my life." 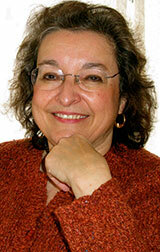 To Schedule an Introductory Coaching Appointment call 774-230-5670 or e-mail Rita. 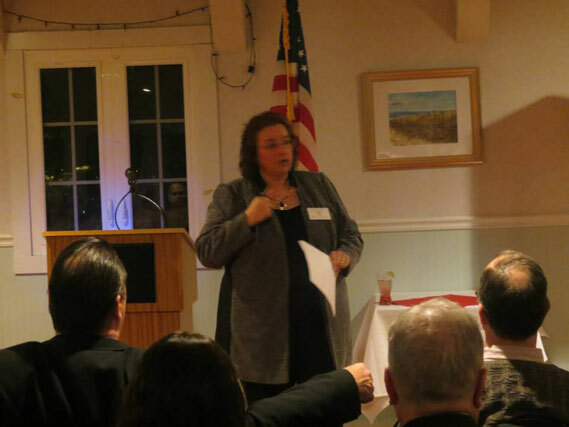 Rita received her Strategic Intervention Coaching Certificate from Robbins-Madanes. Sessions held in-person or live online via Doxy.me. 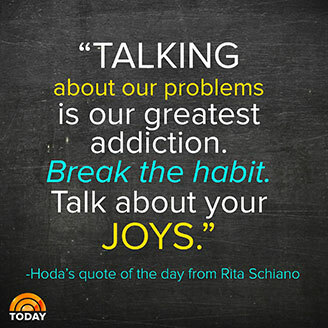 Rita quoted on Today with Kathie Lee and Hoda! 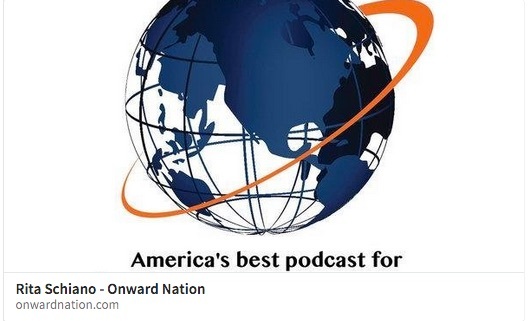 Hear my interview with Stephen Woessner on Onward Nation. Click to go to podcast! Give the gift of a Flourishing Life! 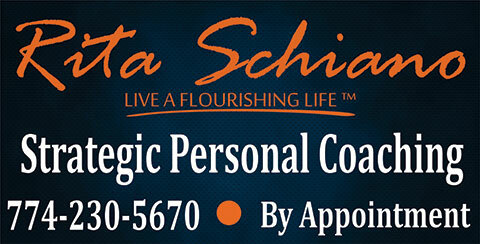 Gift Certificates for Rita's strategic life coaching / mentoring, workshops, books available here exclusively!